Our swim shorts are packed full of great technology, so kids can get on with having fun! 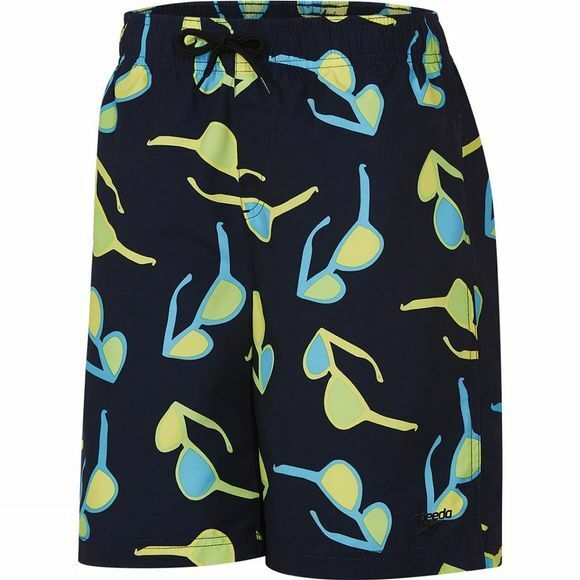 This style features a bold sunglasses print which is great for the pool, waterparks and days at the beach. Made with a water repellent finish and featuring a drawstring waist for added comfort.